Ruth’s dress is quite simple in form, though sometimes those are the most difficult to make. In the beginning, Ruth’s ideas were very clear, but also very a little distant, it took me quite a few design drawings before I got it right. The details were understated which placed more importance on them being just right. You know how sometimes, seemingly useless pieces of information stick in your mind!? I had always remembered a Chloe dress in the old permanent fashion exhibition at the Victoria and Albert Museum (I most remembered it because I always thought it looked broken, but never mind that!). Anyway, it provided the inspiration for what was to become the final design of the dress, combining the ‘grecian’ gathered draped chiffon over a fitted bodice, drawing them into a ‘pinch’ at the collar bone, and fanning out again into a fitted capped sleeve. The shoulders front and back are decorated with small motifs of crystals and pearls which match the waistband made from crystal motifs which I snipped to pieces and put back together again into the style that Ruth wanted, focusing on a kind of geometric, circular design. The motif is larger at the front, and gradually slims down around the waist, which is always a super flattering effect. The skirts are made in flowing silk chiffon in a circular design with a small train. The front v-neckline is fairly modest, but plunging to the waistline at the back for a more dramatic effect. Because of the low back it was necessary to add a small invisible strap across the shoulder blades to make sure that the sleeves did not fall off the shoulders! 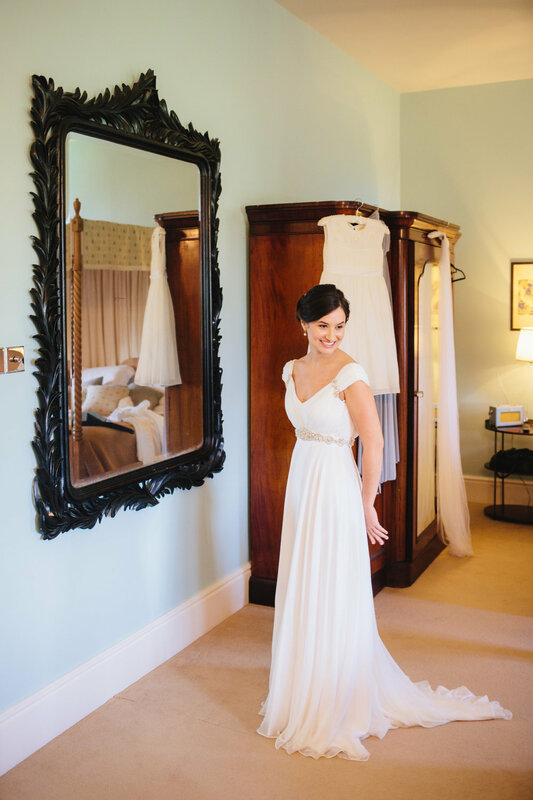 Ruth and Oliver married at Llangoed Hall in Cardiff, the city Ruth grew up. The couple were later chosen to feature in Your South Wales Wedding Magazine, and got the front cover too! 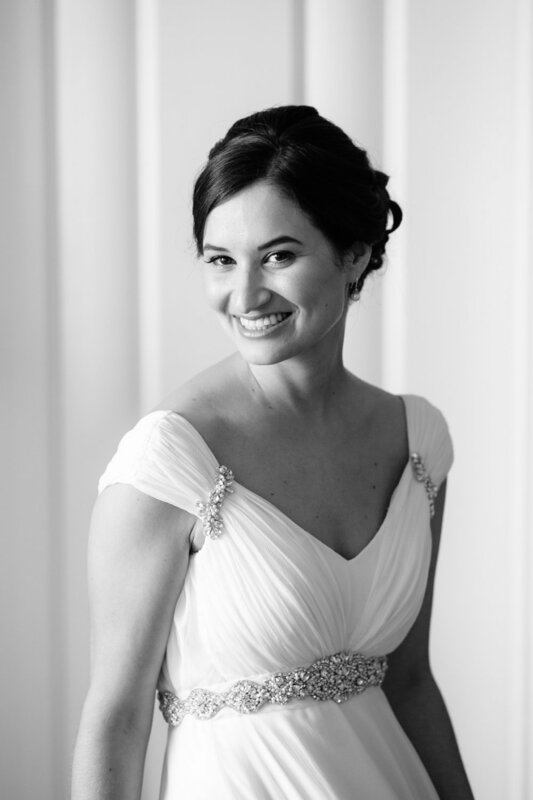 I hope you’ve loved seeing and reading about this Wilden Bride!